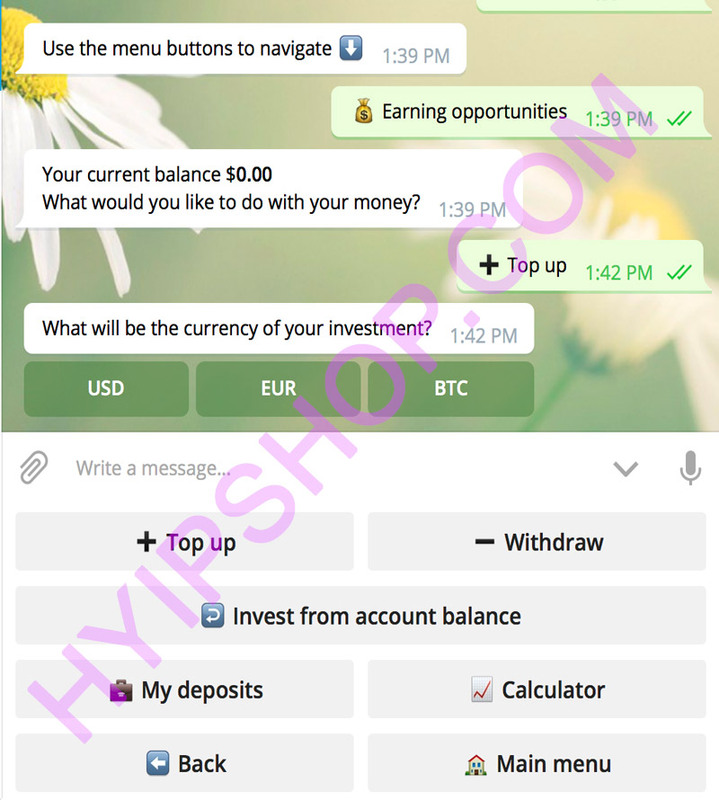 Telegram Bitcoin Investment Is a telegram.me application bot which users can invest and receive profits using Telegram app. 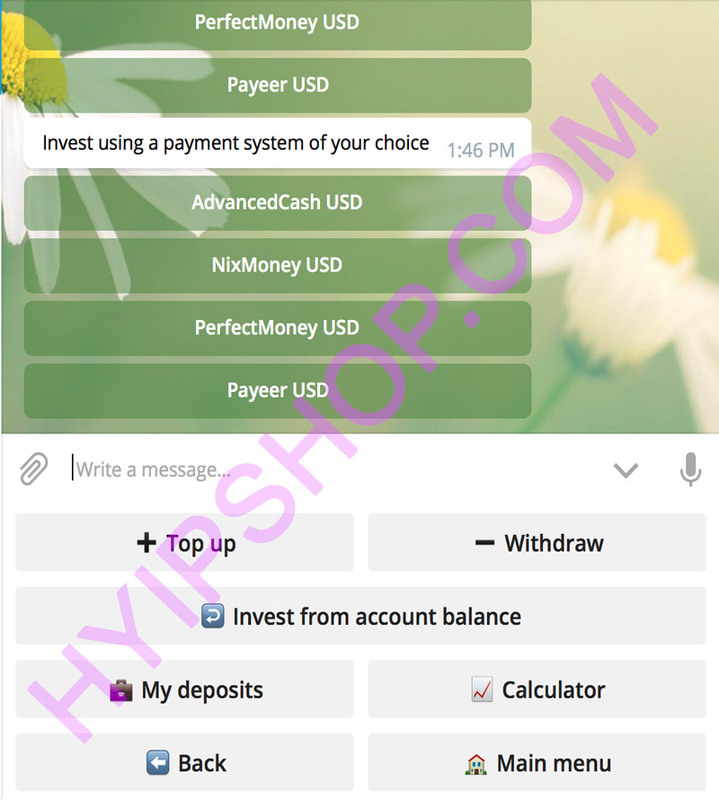 Update: 11 Oct 2018 - Variable Plan Mode added (For example you can set 1-2.5% daily and a percent for upper 1.5% and script look at your settings and set a variable daily/weekly/monthly/hourly plan between 1-2.5%. Now if you, for example, set 10% for upper 1.5, 10% of days which users earn, their earning is more than 1.5% and 90% of days are under 1.5%). This was requested by some clients and we added it. You can use or not use. Update: 02 Jun 2018 - Now investors can deposit with more than 100 coins and API just turns them into Bitcoin and send to admin's BTC address. 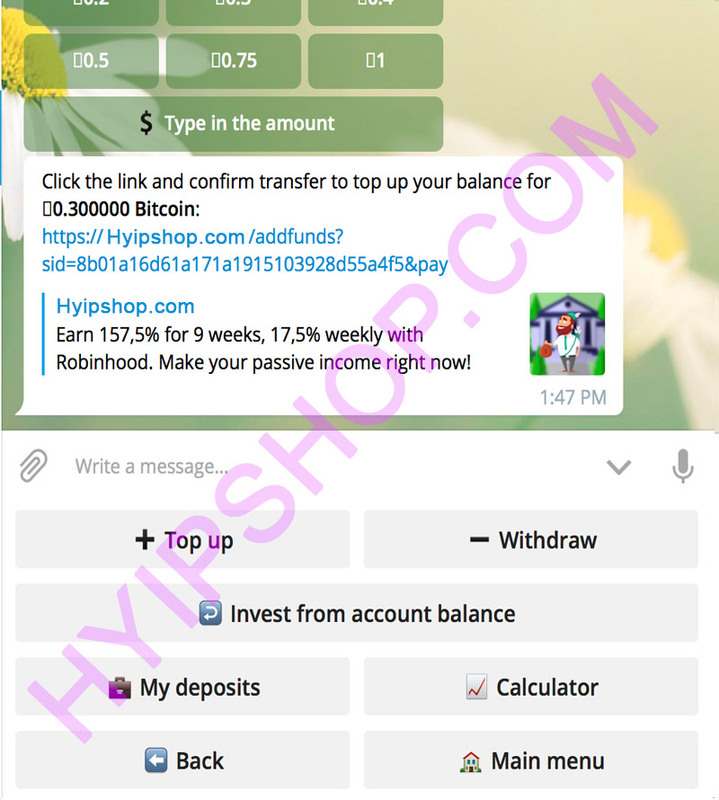 Then for example investor can deposit using Nebulas or Dogecoin or ... and you receive Bitcoin into your BTC equivalent in your account. 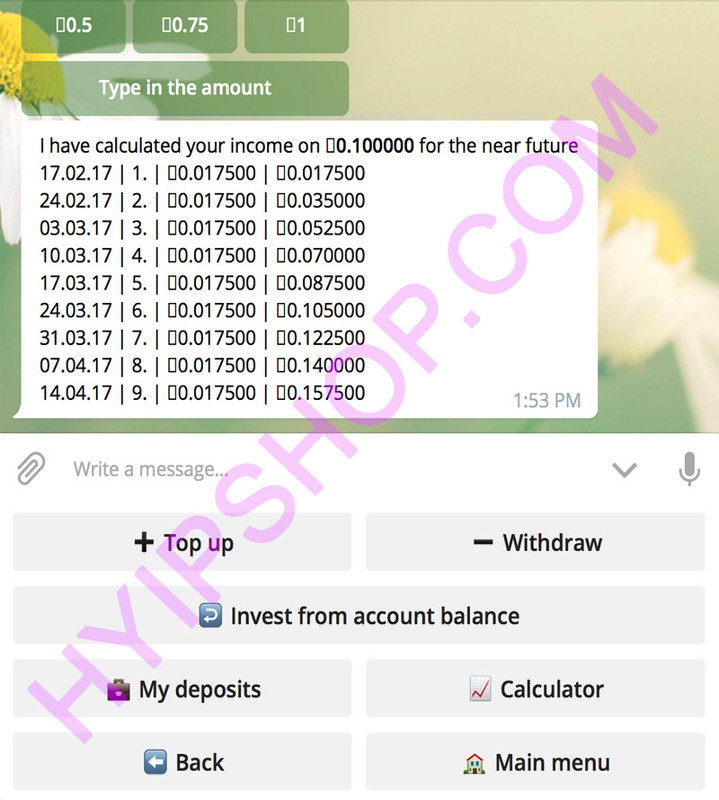 4- User can choose an investment plan in Telegram Bot and deposit immediately. 13- A Free well designed one-page website will be delivered to you for your program introduction to potential investors.